but my brain just has issues mapping the Jade version to the output. So yeah, I hate Jade. 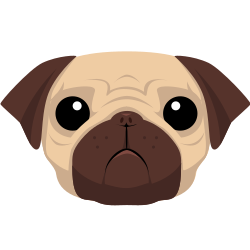 But a while back, due to some legal issues, the Jade folks had to rename to Pug, and who can hate a project called Pug? I noticed today that there wasn’t a quick testing tool for Pug. The web site says you can open up dev tools and test right there, which is cool and all, but as I had a few hours in the Denver airport, I thought I’d whip up a quick tool. Here’s a screen shot of it in action. It lets you input a Pug template and supply JSON data.